Fast purchase, friendly interface with easy access to and upload of all your TTMM clockfaces. 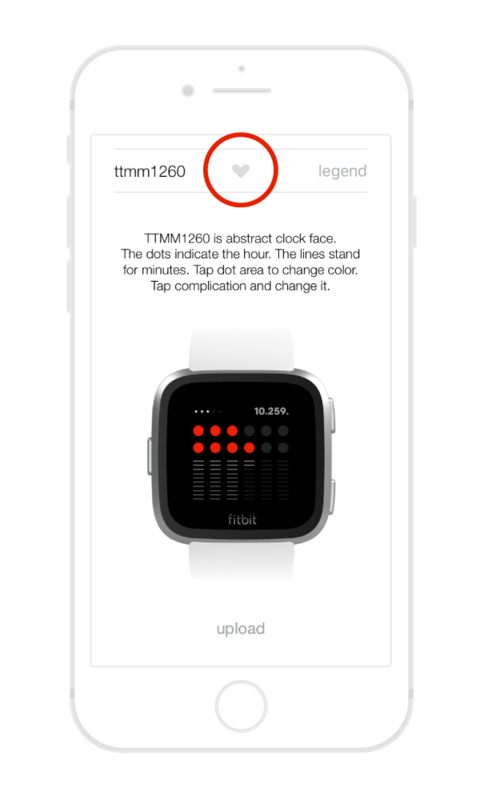 To purchase a TTMM clockface we recommend using our dedicated TTMM app. 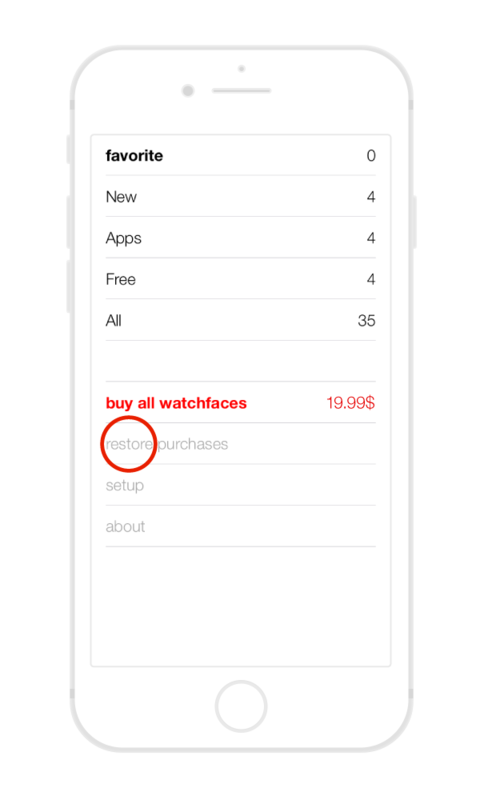 The app allows you to buy clockfaces with the App Store and Google Play, hence the buying process is quick and easy. Click button below for download on iOS or Android. If you purchased a single clockface or whole collection in the TTMM app please use RESTORE PURCHASE from main screen and upload the clockface directly from TTMM app. NOTE: You cannot restore purchases from the TTMM app with the Fitbit app or vice vesa. K-PAY, Apple and Google operate three different e-commerce platforms. Each of them charges a fee for the transaction and makes the necessary VAT tax charges. These are the main reasons why moving clockfaces between platforms is not possible after the purchase. Fitbit Versa smartwatches use one clockface at one time and to change to a new clockface you need to upload it each time via the Fitbit app. In the TTMM App you will have fast access and easy upload of all your purchased TTMM clockfaces plus you will have a friendly interface for your purchases. 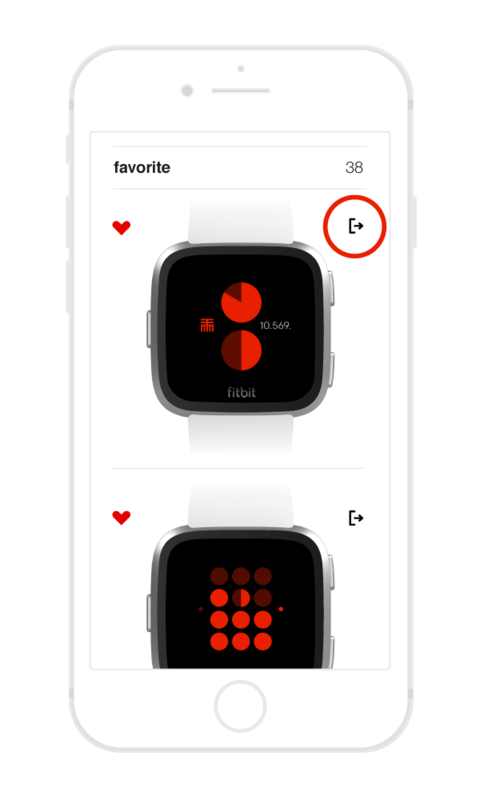 Add the purchased clockface to the favorite list by tapping the heart icon. Tap heart icon again to remove item from favorite list. TTMM clockfaces use Bluetooth, GPS and health data for proper functioning of the TTMM clockfaces. Your smartwatch connects to your smartphone through Bluetooth. TTMM app uses the right of access to your Bluetooth and Wi-Fi to communicate with the Fitbit app and to transfer TTMM clockfaces from the Fitbit server onto your Fitbit Versa smartwatch. GPS and Internet are used to retrieve weather information based on your location (charges for data download onto your smartphone may apply, according to your fares). Health data is used to present information about the completed steps, distance, burnt calories, active time, heart rate and floors. The TTMM clockface application does not store data on nor does it transmit data outside of the Fitbit Versa smartwatch. TTMM products are made to suit you, so if you like our clockface designs, we kindly ask you to rate us on the App Store or Google Play. Your opinion will help us spread good design among others. Many thanks in advance! If are unhappy with our product, you have two weeks (14 days) to get your money back – no questions asked. The actual refund process may differ depending on the internal policies applied by the marketplace used to make the purchase. We recommend to request a refund directly form us. Please e-mail us nowatttmm.is Please include the e-mail address used for purchase. We will be grateful for giving us your reason behind the refund, however it is not a necessity. We will proceed with the refund without delay. You can also request a refund directly from Google by following these INSTRUCTIONS. For the current prices of our clockfaces please refer to the TTMM app or Fitbit app. Local VAT tax is not included in the price. The VAT tax is added to the net price at purchase in accordance with the local VAT tariff.